March 25, 2019 By Elise 2 Comments This post may contain affiliate links. Please read my disclosure policy for more info. 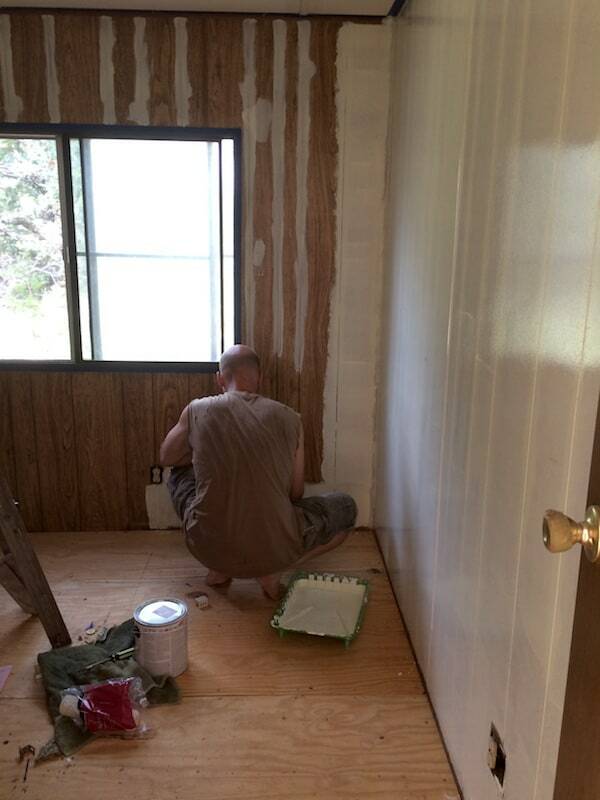 Interested in learning about our mobile home remodel, or how to renovate your own? This is our story – all in one place. A couple years ago, we bought a mobile home off an advertisement on Facebook. The ad said “livable mobile home, new land owners need it moved. $1,000”. Just the week before, we had started tossing around the idea of buying a mobile home to put out on our farm. It would pay for itself quickly when we stopped paying rent on our house in town, and get us in our own house debt-free. As soon as we started talking about it, enenagram 5 me went into researcher mode and started look up every ad I could find for mobile homes to be moved, trying to find out how nice, and how large a home we could get for the money we had in the bank. But Gabe didn’t like any of it. So when this ad popped up, I immediately sent it to him, and he set up an appointment to go look at it. Let’s be honest, “livable” was a stretch. Just because someone had laid new laminate flooring over the old sub flooring didn’t make it a nice house. It was in awful condition with several leaks in the roof and around the windows, kitchen cabinets that were falling apart, some janky homemade electric wiring repairs, and sub flooring that made me afraid to walk in the master bedroom. Joke’s on him though, because by the time we got this mobile home remodel done, it cost us just as much as one of those newer, nicer homes we couldn’t bring ourselves to go look at. 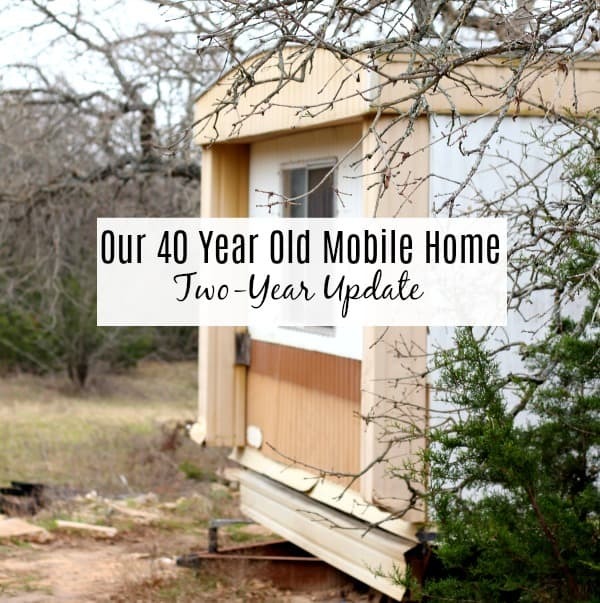 The difference is, during the the process of remodeling ours, we made several modifications that made it a much more efficient, better place to live than the average mobile home we’d seen. I’ll be honest, at first, I didn’t want to write about what we were doing, because I wasn’t sure what people would think – we all know mobile homes have a less than stellar reputation – let’s call it redneck. But eventually, I remembered that I shouldn’t let fear get in the way of living my life, and more importantly, hopefully encouraging other people that a financially free life is attainable now matter how little you start off with and did it anyway. And y ‘all, the response was much more than I ever imagined. Turned out, you guys loved the idea as much as I love my new remodeled mobile home kitchen. 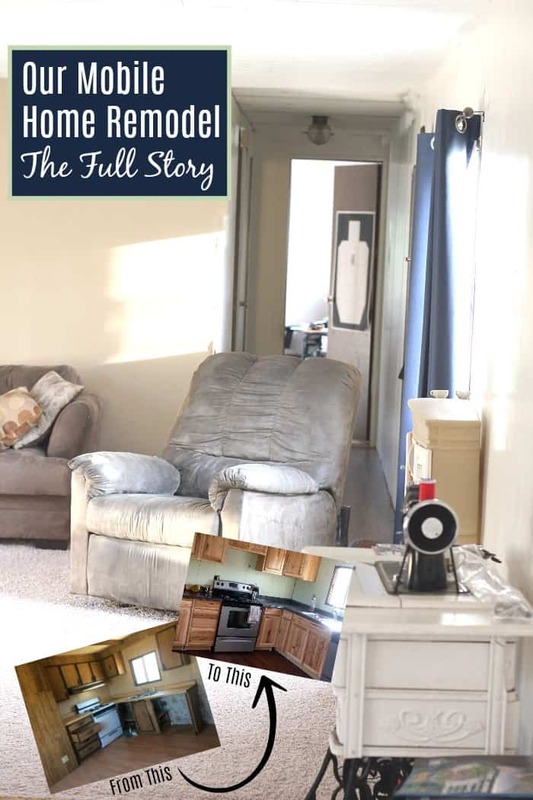 So, I wanted to put all those mobile home remodel posts in one place where you could read the whole story without hunting down every link to the next piece. 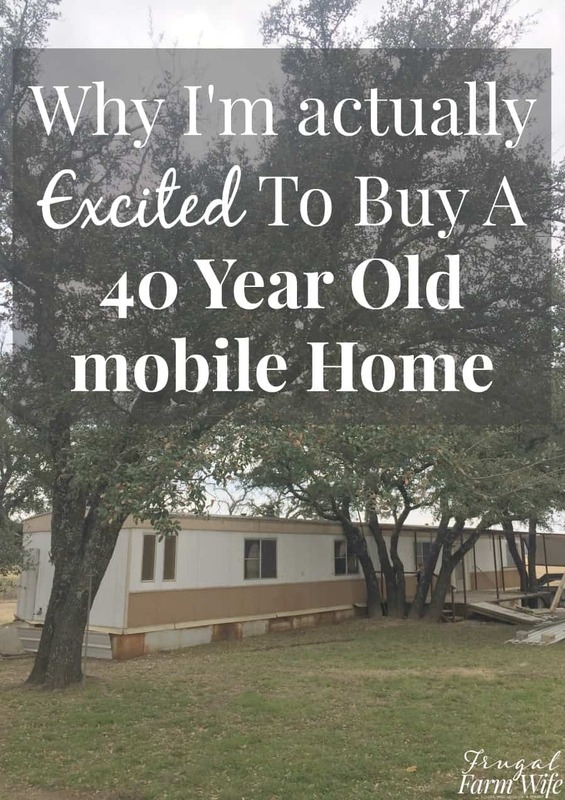 It all started with buying an old mobile home, and why we did it. And of course, the first big step in a mobile home remodel is moving it out to your own property. It took some time to get the metal sheeting and porches disconnected from the house, but we finally did get it moved about a month after buying it, and you can read that story here. 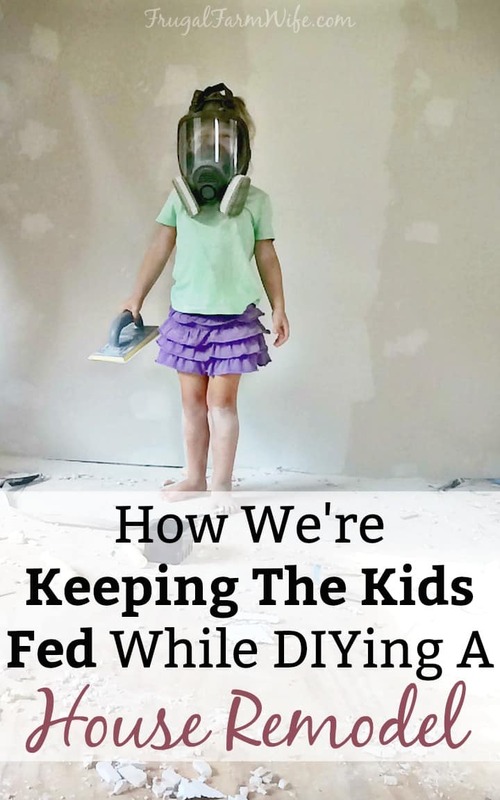 The third part of the story involved tearing out all of the floors – even the ones covered in that newer, cheap laminate flooring had holes in it, and the carpets were downright nasty! My youngest brother was able to come down and help us with those, and he was a godsend for getting the dated ceiling beams down. Read the floors and ceilings update here. 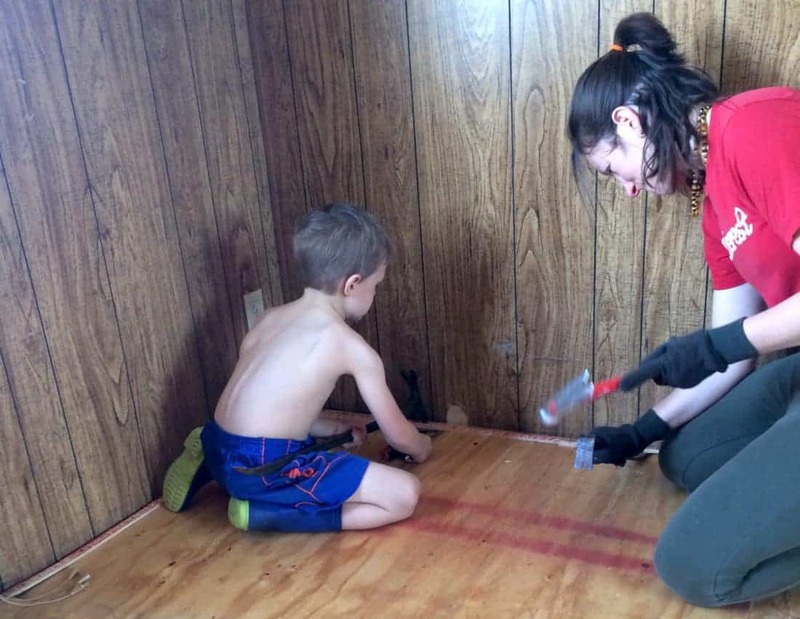 In the middle of remodeling our old mobile home with the necessary drywall hanging, taping, and mudding, and the paneling painting, we also had to keep working – and keep the kids fed. It was quite a juggling act! Read how we juggled all that here. 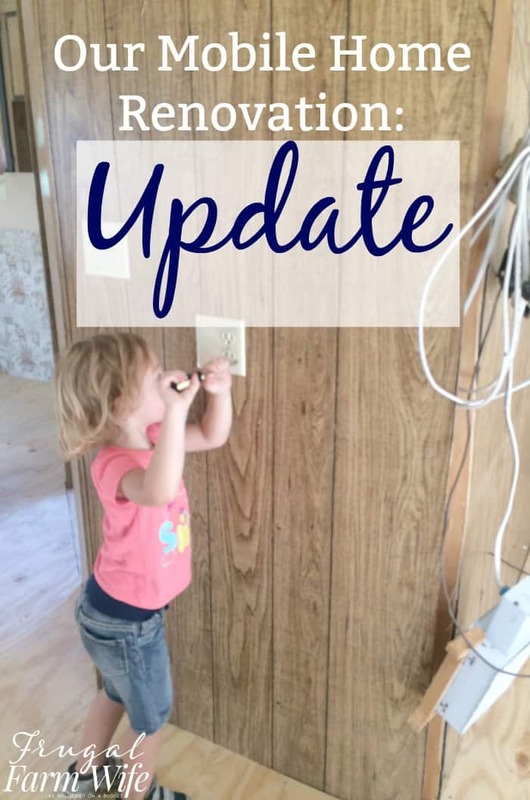 In the next update, I talk about how our marriage dynamics affected the mobile home remodel. For years, I tried to be the “good wife” and hang back, letting Gabe make all the decisions and frustrating him immensely. But all that has ended, and we’re both a lot happier now. But we DID get moved in, and to be honest, this is the best house we’ve lived in so far. 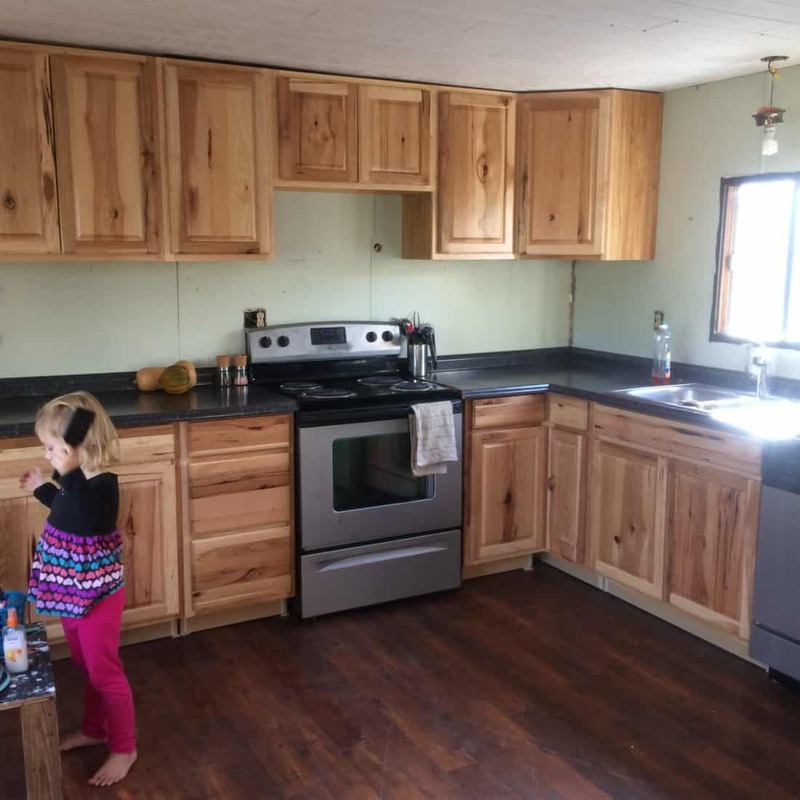 Our kitchen is efficient, the floors are nice, the carpet is comfortable and a great color for hiding dirt (important when you live on a farm with kids! ), two bathrooms that are fully functional, and we own it – which means I can hang things on the walls, or paint, or whatever I want without worrying about our security deposit. That made the mobile home remodel totally worth while. Read about it here. Once of the biggest concerns I had in finishing the renovations was getting good kitchen appliances. I knew they would be expensive, but I also knew it would be worth my while to spend money on good appliance and avoid junk. I also really, really wanted a dishwasher – something I’ve never had before, and I was determined not to get white anything. Of course, I perused Lowe’s and Home Depot, but I also searched Craigslist and Facebook listings like a madwoman. We ended up getting appliances that are pretty basic, but that we’re very happy with. 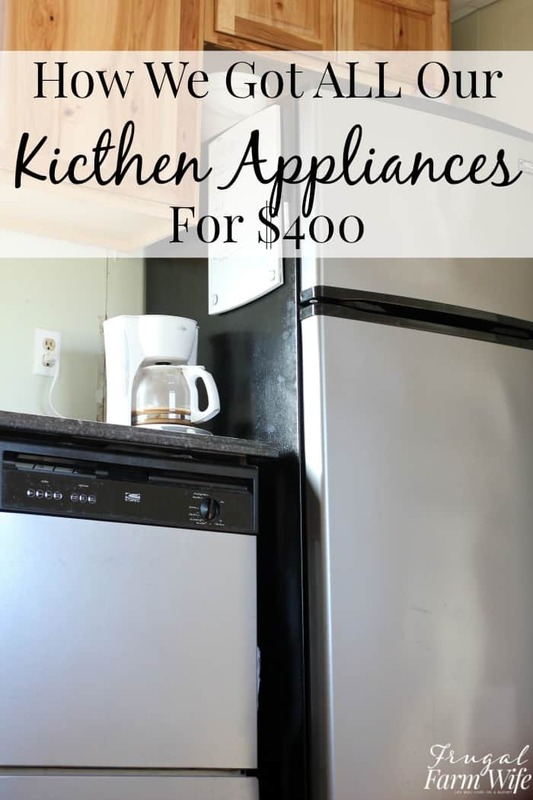 Read about how we got all our kitchen appliance for $400 here. And then, we installed a septic system. Yes, after we moved in. When Gabe suggested it, I thought he was crazy, but probably not as crazy as most people would have thought because, you see, I grew up in an Amish community. Our house didn’t even have a bathroom, let alone a toilet, so the idea wasn’t as foreign to me as it would have been to most North Americans. Still, like I said, I wasn’t crazy about the idea, and the fact was, our composting toilet fiasco had set us behind, so we decided to do it anyway. 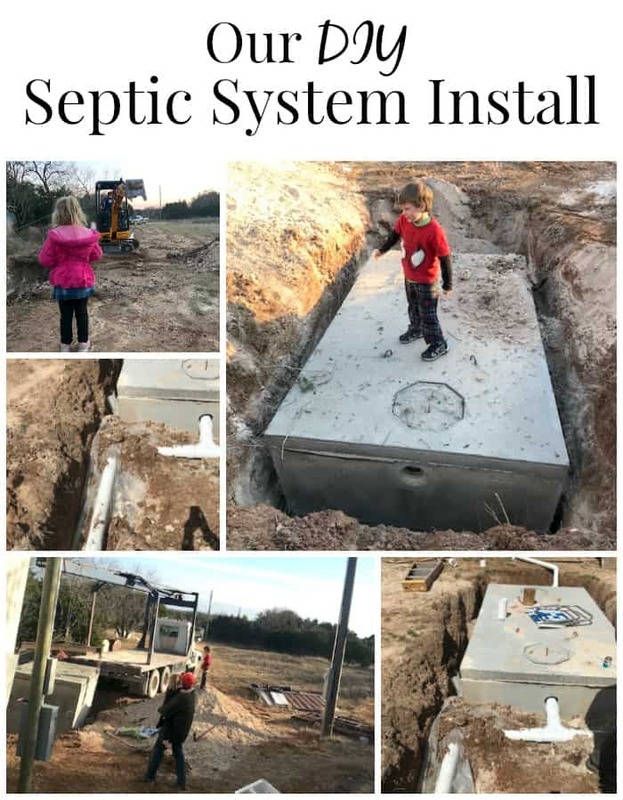 The time during which we had no toilet was not my favorite time, but we got through it, and in the end, we did finally get a real, working septic system installed for much less than we originally budgeted. And finally, it’s been over two years now since we bought our old mobile home to renovate, and over one year since we moved in. Was it worth it? YES. Definitely. Read all about the pros and cons, and house how we feel about it two years down the road here. After 8 years of renting, we have now owned our own humble home for over two years, and while home ownership comes with its own set of challenges, saving that rent money into investments has been well worth while. Your story is inspiring and if the truth be told more should consider a mobile home to live in…we too live in an almost 40 year old mobile home in our farm..we have lived here since 1985…we have torn out,built back,added on and taken away ..most folks look at us as”rednecks” or trailer trash in our part of the country and that’s ok..our house is paid for,full of love, and it’s where our kids and grandkids come “home” to…we love our home be it ever so humble!!! Enjoy this time in your new home- you will look back with fond memories!! !